I have been on a hiatus as of late, and decided yesterday on a long, thought provoking drive back to Jonesboro from St. Louis that it is high time I got back into gear in the blogosphere. What can I say? This will all begin today, Friday, August 23, 2013. Why Friday? 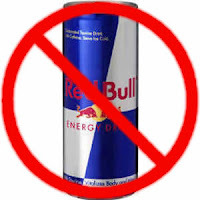 Because it's not Monday. Why not the first of September, given that September contains exactly 30 days? Because I'm impatient. I think that about covers it! Fingers crossed I'll balance back from this extreme swing in all directions that has plagued my post pageant self. Also, if all goes as planned, I'll even update you on my thoughts since July and plans for the future. But for now, we'll keep it slow. Marathon, remember? Recently, I've dealt with a bit of anxiety. I've been anxious about the coming week's competition. You would think that after four years competing in the Miss Arkansas Pageant it would become routine to work through those last minute preparations and packing. But this simply isn't the case. In fact, it is quite possible that because of my past experiences I recognize just how important this next week is going to be. The way I see it, my blog is my personal space dedicated to keeping you updated and to keeping me sane by providing an outlet for my thoughts. That being said, I want to be honest with you going into this next week. It's tough! There I said it. Competition is difficult. For starters, have you glanced through the other 44 girls competing this year? Take a moment and do so on the contestant page of the Miss Arkansas website that I'll conveniently link, here. These truly are some of the most impressive young women in our state. If you think that isn't enough to make me a little nervous, well, then I'll share a little more about my preparations as of late. About two weeks ago, I discovered some issues with my talent selection. Nothing major, but these issues resulted in my needing to learn nine new measures of music only a couple of weeks before competition. Then, to top off my musical woes, my flute suffered a broken spring during pageant bootcamp. Needless to say, I was a wreck! Luckily, I've devoted more hours than I can count practicing on a flute I had repaired immediately following that week, and I can honestly say, I'm starting to feel that it is all coming together. There are a few other things that have occurred that I won't bog you down with. Overall just know, that we competitors put in a lot of hours practicing our talents, working out, and serving our local communities. Finally though, I'd like to share that the coming week is important to me for so many more reasons than just the crown and those few moments on stage. I recognize, after four years of competing, that the job of Miss Arkansas is going to be full of good days and bad days, but on all days Miss Arkansas must be prepared to act as a fully committed, energetic, creative, and personable, goodwill ambassador of the state. This is a daunting task and I'd be lying if I wasn't a little afraid of living up to the task. Of course, then I realize that most of the fear is just coming from my nerves, and the rest, the part that is a humble respect for the position, well, it serves to push me into becoming the best me that I can be. I work to improve myself so that if next Saturday night I am that fortunate girl who hears her name called when the scores are tallied, I will be able to step into that role fully prepared (with the help of some pretty amazing volunteers, family, and friends) to serve my home state and represent the Miss Arkansas Organization well. I do it, so that if I am not the girl chosen, I can walk away having gained invaluable life skills with my head held high fully in support of whomever becomes Miss Arkansas 2013. Because that is the kind of young woman that this program produces. Don't worry! The week hasn't been all stress. 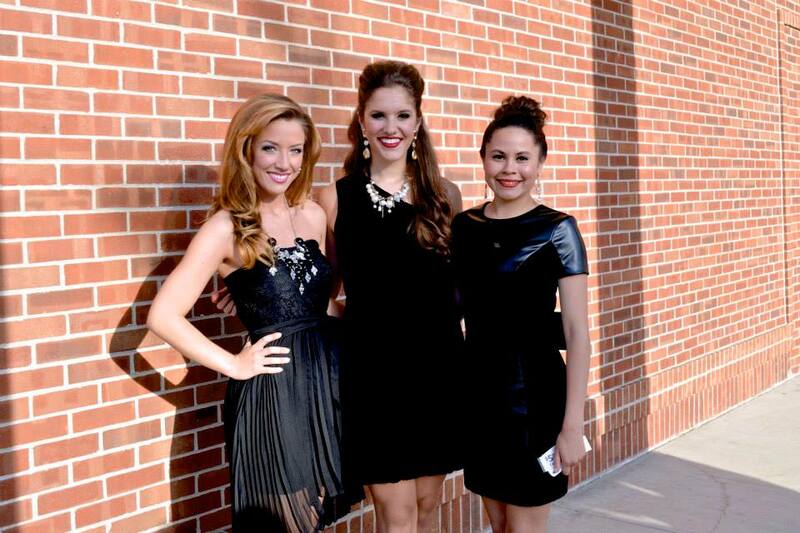 In fact, last Saturday I attended the Miss Arkansas Outstanding Teen Pageant. 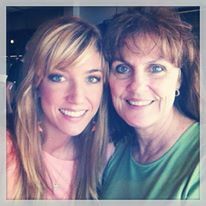 My mum and I traveled together and made a stop in Little Rock to look for shoes for my interview outfit. We got lucky at DSW and found a great, surprisingly affordable pair of heels that compliment my new dress nicely! We made the trip on to Hot Springs in the afternoon and I had the privilege of helping collect tickets at the door with a few other Miss Arkansas contestants. The pageant, as usual, was phenomenal! The production team we have here in Arkansas is top of the line. 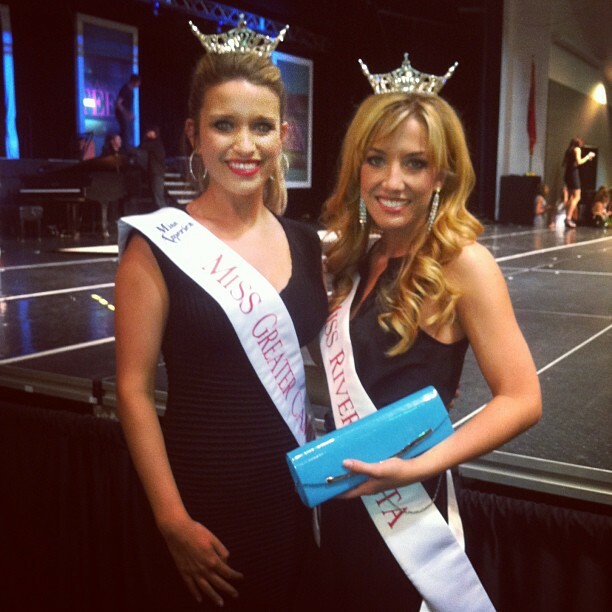 A beautiful new Miss Arkansas Outstanding Teen was crowned, and one of my sister teen queens was first runner-up. It was an incredibly exciting night! The remainder of this week has been spent in the gym, at dress fittings, practicing my flute, on an impromptu trip to Blytheville, last minute planning, packing, whew!, and even enjoying a slight bit of rest! Now that you know the goings-on of my past week, I'll share the verse that has spoken volumes to me in the last few days. I'll be heading to Hot Springs tomorrow! Thank you for all of your love and support! I'm sure most of you are familiar with the fitness craze of "Bootcamp." Allow me now to introduce you to an even more intense, sometimes weight loss inducing, but primarily fun inspiring, Beauty Bootcamp!!! The rest of the week was spent in Blytheville where we managed our time between on-stage practice, mock interviews, and community service. 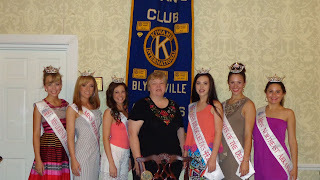 We were invited to speak at the Lions, Kiwanis, and Rotary Clubs during their weekly lunch meetings. While there, we each thanked them for their support and performed a preview of our state talents. One club member was so impressed, he wrote a scholarship check on the spot! To wrap up the week we also performed at Westminister Village, which is a retirement community, and for our final event we gave a wardrobe preview for our family, friends, and pageant board members. See what I mean? Yes, that is pink lipstick all over our faces. We thought it enhanced our extremely fashionable wardrobe selections. You see, on our first night in Blytheville, we enjoyed a fabulous dinner prepared by Miss NEA's ED, Abby Houseworth Whitener. This amazing meal was followed up with Weight Watchers Ice Cream. 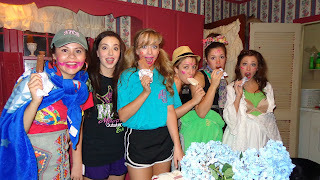 Fast forward to our final night and after the long week we were really desperate for more of the delicious desserts! We, of course, decided that showing up on our executive director Marrietta Jerome's doorstep around 10:00pm in these outfits performing our rendition of "Dream Girls" was the best way to go about achieving our goal of weight watching ice cream! As you can see from the photo, it worked!!! To top off such a wonderful week, Shelley Kelley of Clark's Bridal in Jonesboro, and Dr. and Mrs. Fletcher, also of Jonesboro, hosted a send off party for all of us NEA girls! They welcomed us into their beautiful home, served us delicious food, and most importantly overwhelmed us with their support and encouragement going into our state pageants. We are so lucky to have such phenomenal supporters in Northeast Arkansas! For those keeping count, the Miss Arkansas Arrival Ceremony is just eight days away!!! Hope to see you there! Until then, if you're in Hot Springs, come out to the Miss Arkansas Outstanding Teen Pageant this Saturday. 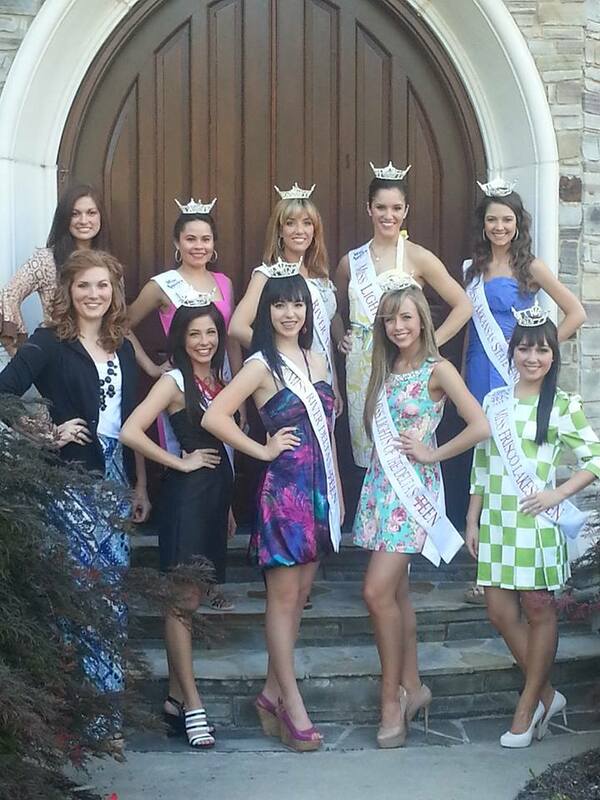 I'll be there along with the rest of the young women competing for Miss Arkansas 2013! 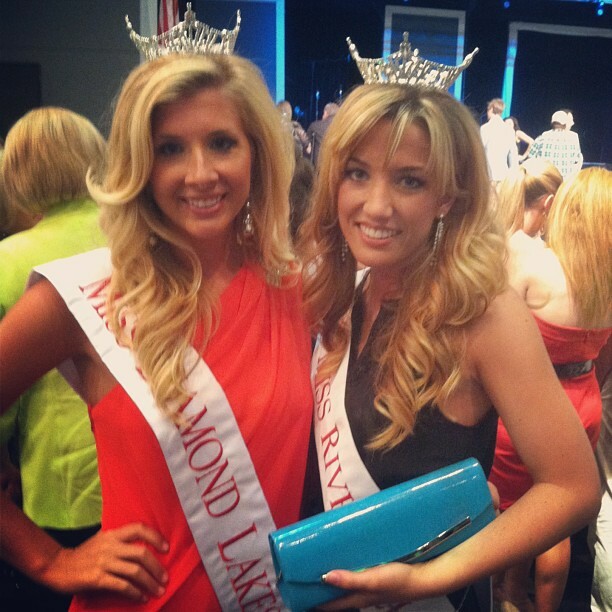 Four weeks from today a new Miss Arkansas will be crowned! Excited?!!! 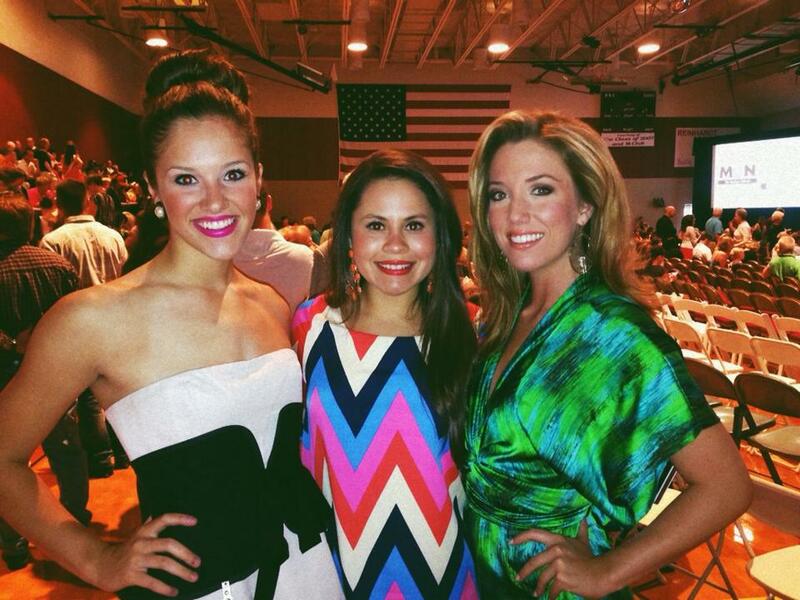 This weekend 14 contestants were added to the Miss America 2014 class. Miss Arkansas will be the final addition to the group, and I know all 45 contestants in our great state are feeling the thrill of being only 1 month away! Monday, June 10th, I spoke with the Epsilon Sigma Alpha (ESA) service organization in Blytheville. These ladies were so kind to allow me to share what I do as a local titleholder, my personal platform of service, and even a little about my testimony from my time spent in Uganda. These ladies do so much in their community and before I left they offered to make a donation to the charity of my choice. 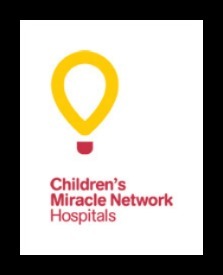 Of course, I chose Children's Miracle Network Hospitals! I am very grateful to them for allowing me to come and share my heart of service with those who share my passion of serving the local community. This week has been very busy! It was my intention to share these things with you Friday, but you know what they say about the "best laid plans..." My goal is to get on a regular schedule of updates every Friday. Just an FYI. So be sure and check back each weekend for details on what I've been up to as Miss River Delta! Last Saturday I celebrated my 24th birthday! It just so happens that I share this birthday with the Natural State! 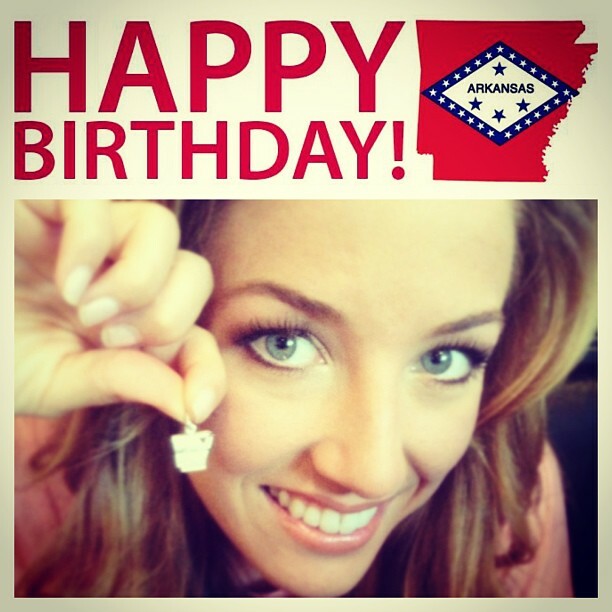 Arkansas officially became a state on June 15, 1836. Since this blog is meant to allow me to be more transparent with those reading, honestly, it was a bittersweet day for me. Turning another year older always presents exciting opportunities and challenges, but this year the day weighed heavily on my mind as it brought me into my final year of eligibility in the Miss America Organization. This year I will "age out" as we say in the biz. I have enjoyed four wonderful years with the Miss Arkansas Pageant and while turning 24 signifies my final year in competition, I look forward to all the times I will be able to spend in the coming years giving back to this program that has given so much to me! Thursday of last week I visited the set of our local news station, KAIT8, to talk about my upcoming fundraiser, the Miss Summer Sweetheart Pageant benefiting CMNH. A big thank you to Diana Davis for taking the time to get this set up for me, and to Josh Harvison who I had the pleasure of being interviewed by. I'll tell you more about the event below. Also this week, I hosted a "Change for Children" drive with the Nettleton School's Programs, Little Raider and Camp Raider. When I was in elementary school I attended the Camp Raider program and I was ecstatic to return this week to raise money for CMNH! 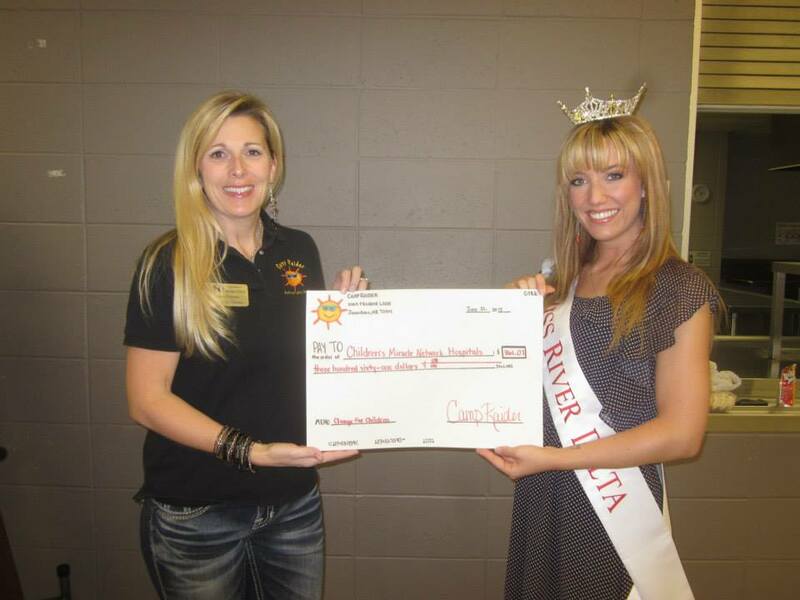 We began the fundraiser on Monday when I visited each of the groups to get them excited about the week of collecting spare change and told them that the winning group from each program would receive a pizza party with Miss River Delta. As Friday brought the conclusion of the fundraiser, I got each group's contribution counted before heading back to chow down with the winners. All together both programs raised $361.07!!! Not too shabby for children ages 3-12! 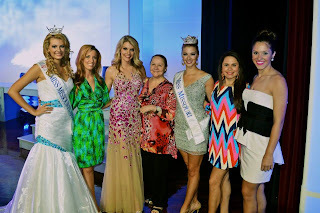 The pageant was a wonderful success! 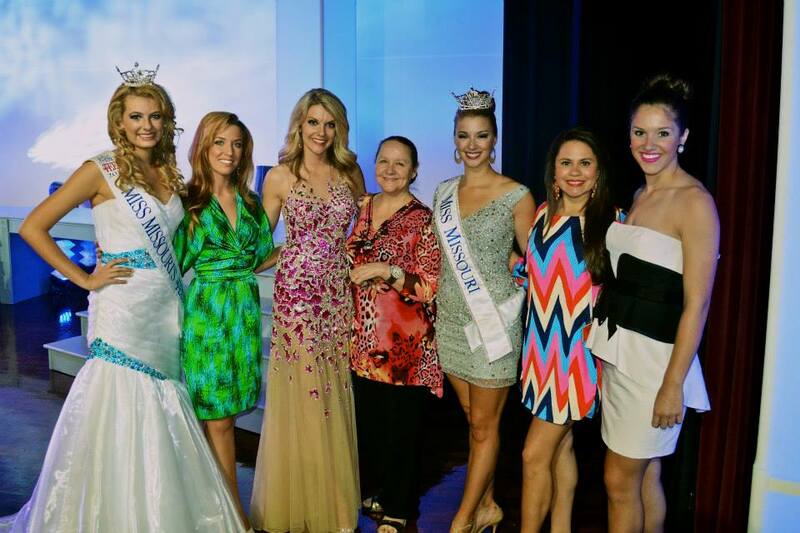 I couldn't have done it without the help of my Diamond State Princesses' moms, Kim Adams and Liane Neshat. These two ladies took over a good majority of the planning and are the primary reason the event went off without a hitch. Thank you to these great ladies I have the privilege of calling my friends! In my Master of Ceremonies look courtesy of Clark's Bridal and Formal in Jonesboro! I'll be spending next week in Blytheville with my sister queens as we practice our on-stage competition, do mock interviews, and visit civic organizations and community programs for what my director has appropriately termed, Beauty Bootcamp. This will be my third year attending bootcamp and I'm looking very forward to serving the community of Blytheville. It has become a second home to me! This past weekend I had the wonderful opportunity to attend the Miss Missouri's Outstanding Teen and Miss Missouri Pageants! Thank you so much to those who made this trip possible. The Miss Missouri Pageant is such a wonderful experience. The pageant production is top notch, and the emcee Sydney Friar, Miss Missouri 2011, reminded me of our wonderful Lacey Fleming Glover, Miss Arkansas 2004, with her ease standing at the mic and keeping the whole audience entertained with quick wit and poise! Never to be forgotten, is my growing relationship with my sister queens. If there was just one thing I could take with me when my time competing is all over, I could never give up the genuine relationships I've made with the other contestants. 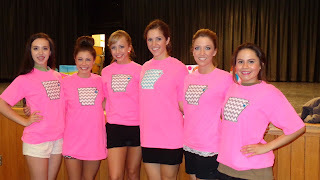 Our Miss Arkansas contestants are truly some of the most amazing people I've had the privilege of meeting. And my sisters this year are no exception. Jennifer, Miss Northeast Arkansas, and Maggie Benton, Miss Lights of the Delta, are two pretty impressive young women, and I can't wait for Arkansas to see that on the stage this July! With the Miss Missouri royalty! Yes, we're definitely getting swimsuit ready at Dairy Queen! 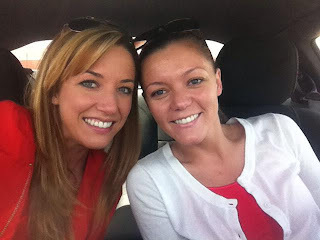 The last thing I'll share with you this post is that in addition to the pageant highlights from the weekend, my time in Missouri also came with a very special lunch with one of my best college friends who I haven't seen in nearly two year! Shannon is one of the most faithful people I know, and because of her great relationship with Jesus she is someone I frequently turned to in college. She served as my Vice President when I was President of the Honors College Association, we were involved in the ASU Student Government Association together, and now she is excelling at her next big adventure: becoming Dr. Hutson. That's right, she's in medical school, and I just know this world is going to see some amazing things from her. More to come soon from my latest appearances. So thrilled to say I have a booked calendar leading right up to the Miss Arkansas Pageant. Check back for frequent updates! Once we arrive, we're whisked away to have our make-up and hair done. A gorgeous Tony Bowls' gown is then chosen for us with shoes and accessories to match. Finally, the real fun begins when we got to work with Jason McMaster's and his team of photography geniuses. All the while, you can hear the team "ooo" and "ahh" over your photos which keeps the energy going and makes you feel very special. I can't say thank you enough to these wonderful people for what a perfect time they make this out to be for us contestants. Of course, my Saturday didn't end here. 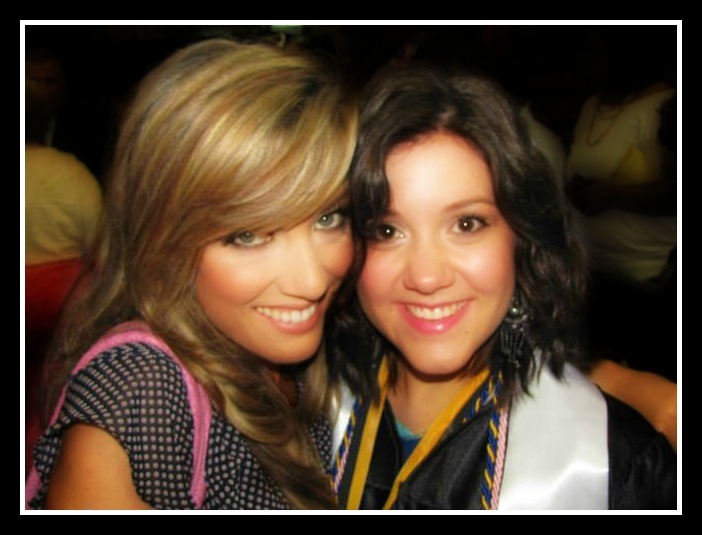 I quickly gathered my things after the shoot and drove back to Jonesboro as my very dear cousin, Bret Sanders, graduated from high school. She'll be attending Ouachita Baptist University in the fall and I can't wait to see the amazing things soon to come in her life! 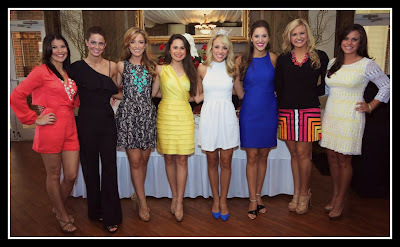 Back in Little Rock Sunday morning we got started early with the Miss Arkansas Contestant Meeting Luncheon and Lottery. With a pretty decent lottery draw, I am thrilled to be returning to Group B this year. My official contestant number is B27 and I have the privilege of competing in this group with both old friends and new faces that I can't wait to get to know better! 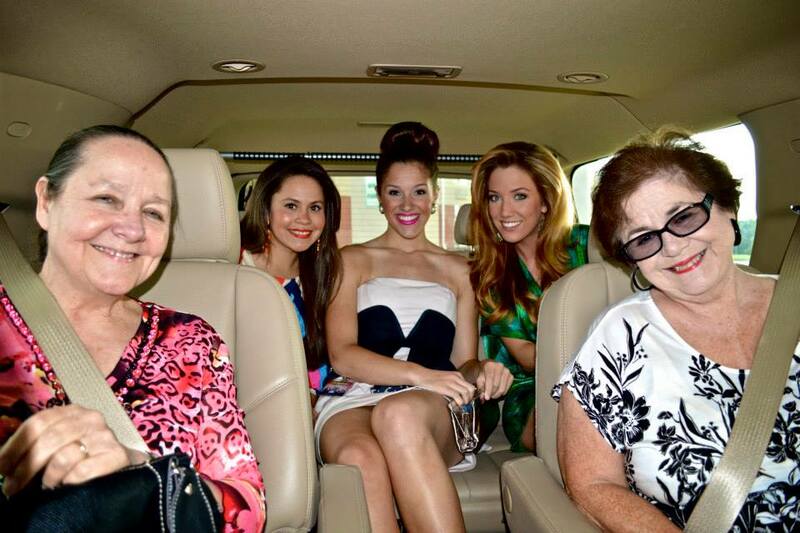 I've said it before, but I'll say it again, I have the best pageant family. The Northeast Arkansas Pageant Association has been up and running for 31 years now and their record of phenomenal young women who come through the program never ceases to amaze me! Just check out the number of girls who will be present on the Miss Arkansas stage this summer who were at one time members of this family. From left: Ashley Walthall, Miss Lights of the Delta 2011; Mason Magouryk, Miss Northeast Arkansas, 2012; Me, Miss Northeast Arkansas 2011 and Miss Lights of the Delta 2012; Jenn Ulloa, Miss Northeast Arkansas 2013; our reigning Miss Arkansas, Sloane Roberts, Miss Lights of the Delta OT 2007; Maggie Benton, Miss Lights of the Delta 2013; Daley Johnston, Miss Lights of the Delta OT 2009; and Mackenzie Moore, Miss Lights of the Delta OT 2008. Don't worry, all of the fun didn't end after Sunday. Bright and early Monday morning I drove one contestant to Arkansas Children's Hospital (as she was in a different group than me) and then made my way over to the Miss Arkansas Golf Tournament. We enjoyed a fun filled morning of photos and golfing before my group made our way over to Arkansas Children's Hospital for a tour after lunch. Thanks to the hard work of some wonderful people all 45 contestants were able to walk through a comprehensive tour of the hospital and we even had time to make "Happy Birthday" and "Congratulations" posters for the kids. From someone who has seen what hospital care for children is like in the Third World, let me just say that we are blessed with such a wonderful facility complete with life-saving technology, the Angel One helicopters, well-educated doctors who make the difference for so many families every single day. 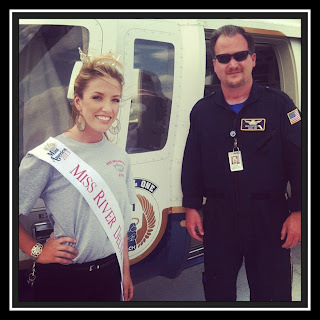 After our tour, we returned to the Pleasant Valley Country Club just in time to see Miss Arkansas, Sloane Roberts, fly over the golf course in a helicopter. She went up to release 1500 golf balls over the eighteenth hole. Each ball contained a number and a few lucky participants went home with extra price money thanks to a very creative idea by the Miss Arkansas Golf Tournament planning committee. All-in-all, it was a very exciting (even slightly exhausting) weekend. It served to make me even more excited about the upcoming competition in July! Lastly, I just want to say a huge thank you to the Jonesboro Visual and Performing Arts Magnet school, the Assistant Principal, Mrs. Rodely, and the mother of one of my Miss Arkansas Diamond State Princesses, Liane Neshat, for allowing me to come and encourage the 5th and 6th grade classes to work hard, to be involved in serving other, and to dream big dreams! 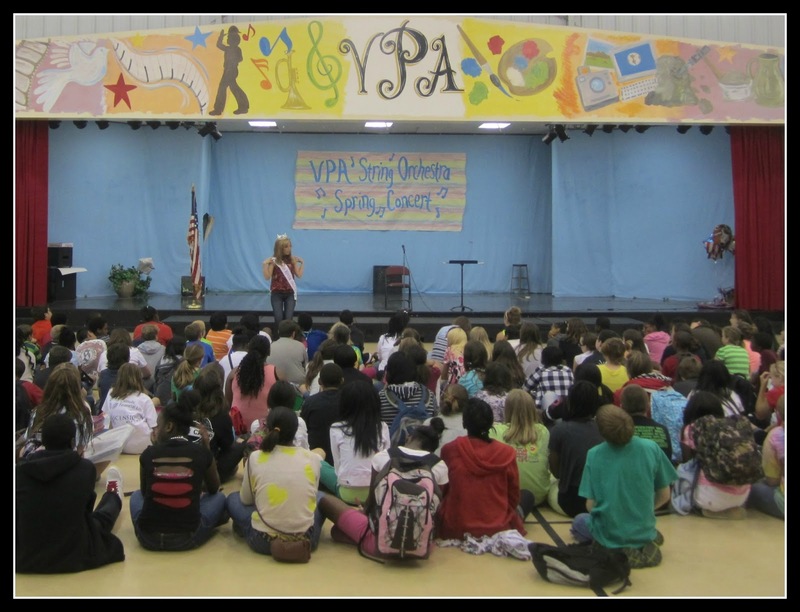 My favorite part of these school visits comes at the end when the students get a little time to ask me questions. Interestingly enough my first question was from a young 5th grader who wanted to know if he could make a living playing the violin since I was playing the flute for the Miss Arkansas Pageant. As I was driving home that day, I passed a house in my neighborhood with a young man sitting outside with his family practicing his violin. Turns out: we're neighbors! One of the best parts of wearing the crown is the people I get to meet! That's all for now. I'm headed to the Miss Missouri Pageant this weekend so check back soon for updates from that exciting trip! Thanks for reading! And comment below with what you think of the redesign!